I figured I'd start my build thread since the truck came in and I'll be picking it up on Monday. I ordered it back in August and they told me it would be about 24-26 weeks so I was a little surprised to get a email today saying it's in. This is what it will look like but with some changes/ mods. Thanks. 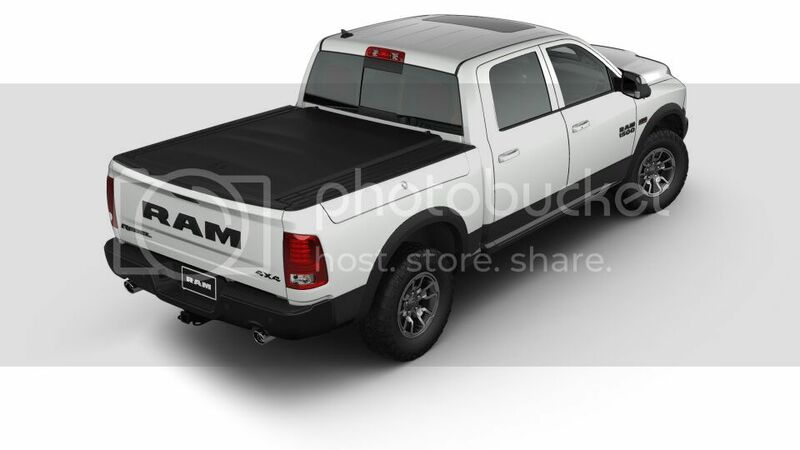 The truck had most of the options with the 5.7 Hemi, luxury package, skid plates, nav, 4x4, 3.92 gears, ram box, bed liner, trailer brake control, moon roof, 32 gallon tank, ram tonneau cover, alpine system and the keyless enter and go. 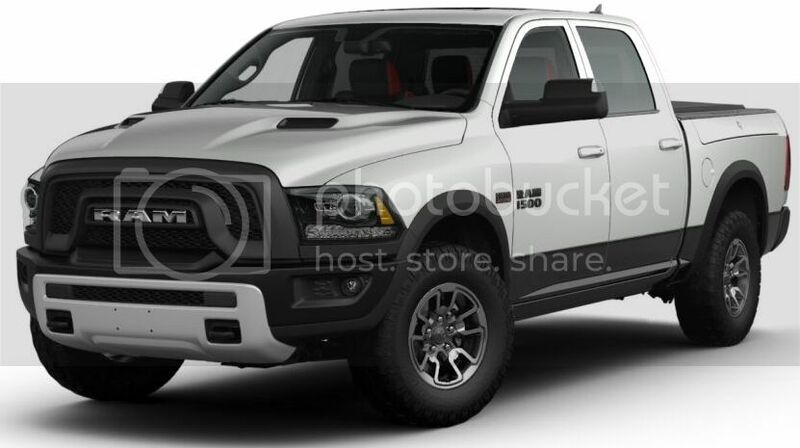 The mod list so far are Go Rhino RB10 steps, TRS Mopar HID low beam kit, Flowmaster American Thunder muffler, power folding tow mirrors, window tint, rough country 30" curved SR light bar in the bumper, rigid SRQ back up lights, ASV window vents, PIAA high beam bulbs and the floor storage locks. Love the Go Rhino RB10 steps. I think they're the most fitting. You definitely have a dope list of mods ready for the truck. Have you bought everything already or plan on piecing it together as you go ?? Nonetheless, you have a solid list there my friend. Thanks Stackin, I ordered the steps and flow master last night so it should only be a few days without a set of steps since they say they will ship out today. I'll order the towing mirrors today and a few small stuff. Your pictures are not showing up. Does it really look like a Storm Trooper? I'm expecting to see decals to match the storm trooper helmet. Love the white... didn't go with it because I'm in construction and constantly getting the truck dirty. Granite looks a bit better dirty. Congrats and welcome to the forum! They call black and white trucks Storm Troopers. I will. If I remember to get one of my ecoboost I'll post that up too since the turbos sound good but the V-6 not so much. Thanks, I'll see a construction site every so often but I don't need to worry about getting dirty from them anymore since I'm in the office now. If it gets muddy it's normally from coal haul roads going dirt biking or sand from riding in jersey too. I like the white because it stays so much cooler in the summer. Last edited by Randy; 11-08-2016 at 09:32 AM.